December 29, 2012 – CWF Mid-Atlantic: Chet Sterling and Xsiris defeated Robyn Tyrone Golph and Terrell Givens. March 2, 2013 – CWF Mid-Atlantic: Louis Moore and Matt Houston defeated Chris Lea and LaBron Kozone & Chet Sterling and Michael McAllister in a 3-way tag team match. March 7, 2013 – FSPW: Chris Lea defeated Chet Sterling in the 1st round. The Ring Warriors (Chet Sterling and LaBron Kozone) defeated Simply Perfect (Mike Williams and Tommie Williams) in a tag team elimination match. March 16, 2013 – CWF Mid-Atlantic: Ric Converse and The Chiva Kid defeated Chet Sterling and Xsiris. March 30, 2013 – CWF Mid-Atlantic: The Mid-Atlantic Outlaws (Louis Moore & Matt Houston) defeated Aftermath (Ben Tyler & Chet Sterling) and Aric Andrews and Chris Lea & Kamakazi Kid and Coach Gemini’s All Stars (Jesse Ortega & Michael McAllister) in a 5 team tag team battle royal to become #1 contenders for the tag team titles. May 4, 2013 – CWF Mid-Atlantic: Ric Converse defeated Chet Sterling. July 20, 2013 – CWF Mid-Atlantic: Chris Lea, Louis Moore and Matt Houston defeated Charlie Weston, Chet Sterling and Smith Garrett. August 3, 2013 – CWF Mid-Atlantic: Chet Sterling defeated Arik Royal by count-out in the 1st round. August 17, 2013 – CWF Mid-Atlantic: Lee Valiant defeated Chet Sterling in the semi-finals. August 25, 2013 – FSPW: Chet Sterling defeated Adam Page. September 7, 2013 – CWF Mid-Atlantic: Matty de Nero defeated Chet Sterling to retain the Television title. September 21, 2013 – CWF Mid-Atlantic: Chet Sterling and Trevor Lee defeated Arik Royal and Matty de Nero. September 28, 2013 – CWF Mid-Atlantic: Chris Lea defeated Chet Sterling in a best 2 out of 3 falls match to retain the CWF Mid-Atlantic Rising Generation League Title. October 5, 2013 – CWF Mid-Atlantic: Kamikaze Kid and Lee Valiant defeated Chet Sterling and Trevor Lee to retain the tag team titles. Chet Sterling was also in the 13th annual rumble battle royal won by Zane Dawson. October 13, 2013 – FSPW: Adam Page defeated Chet Sterling. October 19, 2013 – CWF: Brandon Day and Lance Lude defeated Chet Sterling and Trevor Lee. November 2, 2013 – CWF: Chase Dakota defeated Chet Sterling to retain the Television title. November 17, 2013 – CWF Mid-Atlantic: The Aftermath (Chet Sterling and Trevor Lee) & Drew Myers defeated Aaron Biggs, Chris Lea and Lance Lude. December 8, 2013 – FSPW: Chet Sterling and Trevor Lee defeated J2K (Joe Joe Dancer and LaBron Kozone). December 28, 2013 – CWF Mid-Atlantic: Chet Sterling defeated Chris Lea to win the CWF Mid-Atlantic Rising Generation League Title. January 11, 2014 – CWF Mid-Atlantic: Cedric Alexander and Lance Lude defeated Chet Sterling and Trevor Lee. January 25, 2014 – CWF Mid-Atlantic: Lance Lude defeated Chet Sterling. February 8, 2014 – CWF Mid-Atlantic: Chet Sterling defeated Chris Lea and Jordan Flyght in a 3-way match to retain the CWF Mid-Atlantic Rising Generation League Title. February 15, 2014 – PWX: Chet Sterling defeated Oliver Grimsly in a dark match. February 28, 2014 – CWF Mid-Atlantic: Chet Sterling and Trevor Lee defeated Lance Lude and Oz Tyler in the 1st round. March 1, 2014 – CWF Mid-Atlantic: Chet Sterling and Trevor Lee defeated Charlie Weston and Smith Garrett in the 2nd round. Chet Sterling and Trevor Lee defeated Andrew Everett and Arik Royal in the semi-finals. The Killbillies (Aric Andrews and Evan Banks) defeated Chet Sterling and Trevor Lee to win the PWI tag team tournament. March 16, 2014 – PWX: Zane Riley defeated Chet Sterling. May 17, 2014 – CWF Mid-Atlantic: Charlie Weston defeated Chet Sterling to win the CWF Mid-Atlantic Rising Generation League Title. June 1, 2014 – FSPW: Chris Lea defeated Chet Sterling in the 1st round. July 19, 2014 – CWF Mid-Atlantic: Charlie Weston defeated Chet Sterling to retain the CWF Mid-Atlantic Rising Generation League Title. August 9, 2014 – CWF Mid-Atlantic: Brad Attitude defeated Chet Sterling. September 6, 2014 – CWF Mid-Atlantic: Lance Lude defeated Chet Sterling to retain the PWI Ultra J title. September 13, 2014 – CWF Mid-Atlantic: Chet Sterling defeated Aaron Biggs, Charlie Weston, Donnie Dollars, Jason Miller and The Mecha Mercenary in a 6-way match to become #1 contender for the heavyweight title. December 7, 2014 – FSPW: Lance Lude defeated Chet Sterling. December 27, 2014 – CWF Mid-Atlantic: Chet Sterling and Trevor Lee defeated Nick Richards and Zane Dawson to win the tag team titles. January 10, 2015 – CWF Mid-Atlantic: Chet Sterling defeated John Skyler. January 24, 2015 – CWF Mid-Atlantic: Chet Sterling and Trevor Lee defeated Nick Richards and Zane Dawson to retain the tag team titles. February 7, 2015 – CWF Mid-Atlantic: Nick Richards defeated Chet Sterling. March 1, 2015 – FSPW: J2K (Joe Joe Dancer and LaBron Kozone) defeated Chet Sterling and Mason Maddox. March 14, 2015 – CWF Mid-Atlantic: Chet Sterling and Smith Garrett defeated The Brutes (Jimmy Parker and Mark James). March 21, 2015 – CWF Mid-Atlantic: Chet Sterling and Trevor Lee defeated Manny Garcia and Ethan Alexander Sharpe in a tag team match to retain the tag team titles. Chet Sterling wins the Television title from Garcia. April 4, 2015 – CWF Mid-Atlantic: Andrew Everett, Chet Sterling and Trevor Lee defeated The RIOT (Aric Andrews, Lee Valiant and Nick Richards). Chet Sterling and Trevor Lee defeated Aric Andrews and Nick Richards by DQ to retain the tag team titles. 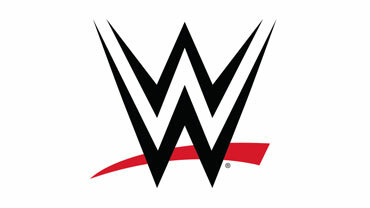 Chet Sterling defeated Brandon Day to retain the Television title. April 18, 2015 – CWF Mid-Atlantic: Chet Sterling defeated Lee Valiant to retain the Television title. May 3, 2015 – FSPW: Chet Sterling and Mason Maddox defeated Darius Lockhart and LaBron Kozone. May 16, 2015 – CWF Mid-Atlantic: The RIOT (Aric Andrews, Dave Dawson, Lee Valiant and Zane Dawson) defeated Aaron Biggs, Andrew Everett, Arik Royal and Chet Sterling. May 23, 2015 – CWF Mid-Atlantic: Chet Sterling defeated Jesse Adler. May 30, 2015 – CWF Mid-Atlantic: Chet Sterling defeated Ethan Case to retain the Television title. June 13, 2015 – CWF Mid-Atlantic: Aaron Biggs defeated Brad Attitude and Brandon Day and Cecil Scott and Chet Sterling and Evan Banks and John Skyler and Mark James in a battle bowl battle royal. Chet Sterling defeated Ethan Case and Darius Lockhart in a 3-way match to retain the Television title. June 27, 2015 – CWF Mid-Atlantic: Chet Sterling defeated Darius Lockhart to retain the Television title. July 11, 2015 – CWF Mid-Atlantic: Brad Attitude and Chet Sterling defeated The Worst Case Scenario (Elijah Evans IV and Ethan Case). July 25, 2015 – CWF Mid-Atlantic: Chet Sterling defeated Elijah Evans IV in the 1st round. Andrew Everett, Brad Attitude, Chet Sterling and Trevor Lee defeated Roy Wilkins, The Kamakazi Kid & The Worst Case Scenario (Elijah Evans IV and Ethan Case). Chet Sterling and Trevor Lee defeated Dave and Zane Dawson to retain the tag team titles. August 22, 2015 – CWF Mid-Atlantic: Chet Sterling defeated Brad Attitude in the quarter-finals. August 29, 2015 – CWF Mid-Atlantic: Chet Sterling defeated Marcellus King in the semi-finals. Roy Wilkins defeated Chet Sterling to win the Johnny Weaver Memorial Cup. September 12, 2015 – CWF Mid-Atlantic: Ethan Case defeated Chet Sterling in a best 2 out of 3 falls match to retain the PWI Ultra J title. September 19, 2015 – CWF Mid-Atlantic: Chet Sterling defeated Aric Andrews to retain the Television title. September 25, 2015 – NOVA: Chet Sterling defeated Prakash Sabar to retain the CWF Mid-Atlantic Television title. October 3, 2015 – CWF Mid-Atlantic: Chet Sterling and Trevor Lee defeated The Worst Case Scenario (Elijah Evans IV and Ethan Case) to retain the tag titles. October 24, 2015 – GOUGE: Timmy Lou Retton defeated Chet Sterling. October 28, 2015 – CWF Mid-Atlantic: Chet Sterling defeated The Kamikaze Kid to retain the Television title. November 7, 2015 – CWF Mid-Atlantic: Cedric Alexander defeated Chet Sterling to win the television title. November 20, 2015 – CWF Mid-Atlantic: Chet Sterling, Jesse Adler and Trevor Lee defeated Coach Gemini’s All Stars (Chappy, Roy Wilkins and The Kamakazi Kid) in a Triathlon Survivor best 2 out of 3 falls match. November 21, 2015 – OMEGA: Brad Attitude defeated Marcellus King, Chet Sterling and Roy Wilkins in a 4-way match to win the CWF Mid-Atlantic heavyweight title. November 28, 2015 – GOUGE: Chet Sterling defeated Otto Schwanz. December 5, 2015 – CWF Mid-Atlantic: Arik Royal and Ray Kandrack defeated Chet Sterling and Trevor Lee to win the tag team titles. December 26, 2015 – CWF Mid-Atlantic: Roy Wilkins defeated Brad Attitude, Chet Sterling, John Skyler, Lance Lude and Trevor Lee in a 6-way elimination match to win the heavyweight title. January 16, 2016 – CWF Mid-Atlantic: Chet Sterling and Smith Garrett defeated Cedric Alexander and Mason Maddox. January 30, 2016 – CWF Mid-Atlantic: Roy Wilkins defeated Chet Sterling to retain the heavyweight title. January 31, 2016 – NOVA: Chet Sterling defeated Logan Easton LaRoux. February 13, 2016 – CWF Mid-Atlantic: Chet Sterling, Lance Lude, Ric Converse, Trevor Lee and Xsiris vs. Chappy, Coach Gemini, Roy Wilkins, The Kamakazi Kid and Walter Eaton ended in a no contest. February 21, 2016 – GOUGE: Otto Schwanz defeated Chet Sterling. February 27, 2016 – CWF Mid-Atlantic: Chet Sterling, Evan Banks, Smith Garrett and The Dirty Daddy defeated Aric Andrews, Ethan Alexander Sharpe, Mecha Mercenary and The Number Man. March 12, 2016 – CWF Mid-Atlantic: Smith Garrett vs. Chet Sterling ended in a time limit draw to retain the Television title. March 26, 2016 – CWF Mid-Atlantic: Chet Sterling defeated Aric Andrews. April 2, 2016 – GOUGE: Chet Sterling defeated Seymour Snott. April 16, 2016 – CWF Mid-Atlantic: Chet Sterling, Nick Richards and Trevor Lee defeated Cam Carter, Lance Lude and The Kamakazi Kid. April 23, 2016 – CWF Mid-Atlantic: Chet Sterling defeated Aric Andrews. May 14, 2016 – CWF Mid-Atlantic: Aric Andrews and Lee Valiant defeated Chet Sterling and Smith Garrett. Arik Royal and Ray Kandrack defeated Chet Sterling and Trevor Lee to retain the tag team titles. June 4, 2016 – CWF Mid-Atlantic: Chet Sterling, Mitch Connor, Nick Richards and The Number Man defeated Aric Andrews, Cecil Scott, Mike Jordan and The Kamakazi Kid. June 18, 2016 – CWF Mid-Atlantic: Aric Andrews defeated Smith Garrett and Chet Sterling in a 3-way match to win the Television title. July 1, 2016 – NOVA: Cedric Alexander defeated Chet Sterling to retain the PWI Ultra J title. July 4, 2016 – GOUGE: Seymour Snott defeated Chet Sterling. August 13, 2016 – CWF Mid-Atlantic: Lee Valiant defeated Chet Sterling. August 21, 2016 – PWX: The Ugly Ducklings (Colby Corino, Lance Lude and Rob Killjoy) defeated The GOUGE All-Stars (Chet Sterling, Mickey Gambino and Timmy Lou Retton). August 27, 2016 – CWF Mid-Atlantic: Andrew Everett, Chet Sterling and Nick Richards defeated The Ugly Ducklings (Colby Corino, Lance Lude and Rob Killjoy). Chet Sterling was also in the battle royal won by Snooty Foxx. September 10, 2016 – CWF Mid-Atlantic: Chet Sterling and Nick Richards defeated Aric Andrews and Zane Dawson. September 16, 2016 – NOVA: Bobby Shields defeated Chet Sterling. October 1, 2016 – CWF Mid-Atlantic: Aaron Biggs, Chet Sterling, Dirty Daddy and Mecha Mercenary defeated The Storm Of Entrails (Dan O’Hare & SHLAK), Kit Osbourne and Mike Dell. Chet Sterling was also in the 16th Annual Rumble match won by Andrew Everett. October 15, 2016 – CWF Mid-Atlantic: Chet Sterling defeated Ethan Alexander Sharpe to retain the PWI Ultra J title. 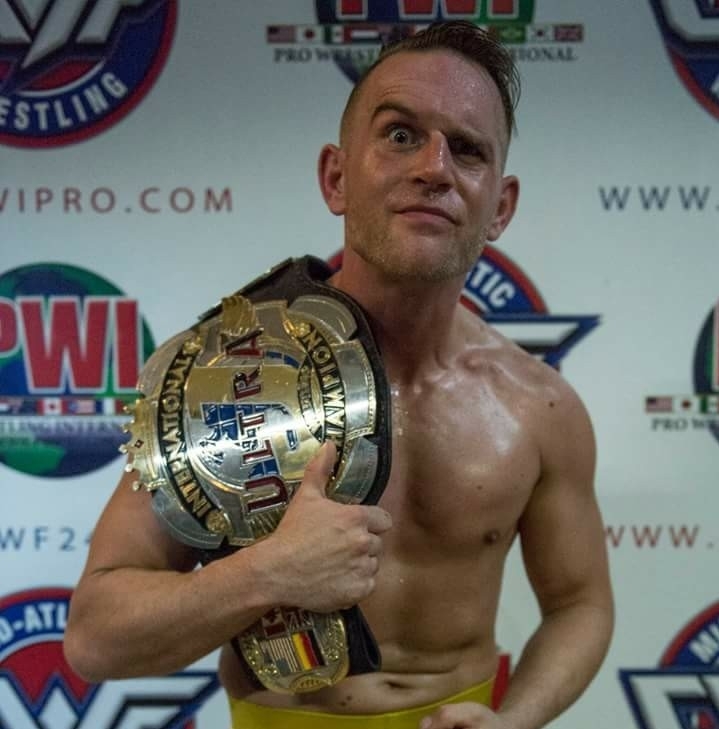 October 22, 2016 – NOVA: Chet Sterling defeated Bobby Shields to retain the PWI Ultra J title. November 5, 2016 – CWF Mid-Atlantic: Andrew Everett, Chet Sterling, Mecha Mercenary and Trevor Lee defeated Otto Schwanz, Roy Wilkins, Vlad Baleshov and Walter Eaton. Aric Andrews vs. Chet Sterling ended in a time limit draw to retain the Television title. November 18, 2016 – CWF Mid-Atlantic: Andrew Everett, Chet Sterling and Trevor Lee defeated Arik Royal, Brad Attitude and Lee Valiant in a best 2 out of 3 falls match. November 25, 2016 – NOVA: The Carnies (Kerry Awful & Tripp Cassidy), Alexander James, Bobby Shields & Logan Easton LaRoux defeated Cutie And The Beast (Beau Crockett & Innocent Isaiah), Chet Sterling, Chuck Taylor & Dan Barry in a tag team elimination match. December 10, 2016 – CWF Mid-Atlantic: Chet Sterling defeated Ace Perry to retain the PWI Ultra J title. December 15, 2016 – TNA IMPACT: Itchweeed defeated Chet Sterling in a Hardy House Rules match. December 17, 2016 – CWF Mid-Atlantic: Chet Sterling defeated Roy Wilkins to retain the PWI Ultra J title. December 30, 2016 – CWF Mid-Atlantic: Chet Sterling defeated Lee Valiant in a no disqualification match to retain the PWI Ultra J title. January 21, 2017 – CWF Mid-Atlantic: Chet Sterling defeated Cain Justice. January 28, 2017 – GOUGE: Jimmy Jack Funk Jr. defeated Chet Sterling to retain the North Carolina title. January 29, 2017 – CWF Mid-Atlantic: Chet Sterling and Trevor Lee defeated Brad Attitude and Lee Valiant. February 11, 2017 – MVW: Chet Sterling defeated Nick Richards to retain the PWI Ultra J title. February 17, 2017 – NOVA: Chet Sterling defeated Logan Easton LaRoux to retain the PWI Ultra J title. February 25, 2017 – CWF Mid-Atlantic: Arik Royal and Roy Wilkins defeated Chet Sterling and Nick Richards. March 10, 2017 – NOVA: Chet Sterling defeated Alexander James. March 11, 2017 – CWF Mid-Atlantic: Arik Royal, Brad Attitude and Roy Wilkins defeated Chet Sterling, Ric Converse and Trevor Lee. March 25, 2017 – GOUGE: Otto Schwanz defeated Chet Sterling. April 14, 2017 – NOVA: Chet Sterling defeated Alex Daniels in the 1st round. Logan Easton LaRoux defeated Chet Sterling and John Kermon in a 3-way, semi-finals match. April 29, 2017 – CWF Mid-Atlantic: Aric Andrews defeated Chet Sterling. May 13, 2017 – CWF Mid-Atlantic: Chet Sterling defeated Aric Andrews. May 20, 2017 – CWF Mid-Atlantic: Chet Sterling defeated Logan Easton LaRoux to retain the PWI Ultra J title. June 3, 2017 – MVW: CW Anderson defeated Chet Sterling to retain the PWI International Heavyweight title. June 10, 2017 – NOVA: Chet Sterling defeated Bobby Shields, Jean Jean Lebon and Sonjay Dutt by disqualification in a 4-way match to retain the PWI Ultra J title. June 24, 2017 – CWF Mid-Atlantic: Chet Sterling defeated Jakob Hammermeier to retain the PWI Ultra J title. July 14, 2017 – NOVA: Logan Easton LaRoux defeated Chet Sterling to win the PWI Ultra J title. July 15, 2017 – CWF Mid-Atlantic: Aric Andrews, Cain Justice, Dave Dawson and Zane Dawson defeated Chet Sterling, Dirty Daddy, Smith Garrett and Snooty Foxx. July 29, 2017 – CWF Mid-Atlantic: Chet Sterling defeated Roy Wilkins in the 1st round. Chet Sterling and Shane Helms defeated Arik Royal and Roy Wilkins. August 12, 2017 – CWF Mid-Atlantic: Chet Sterling defeated Aaron Epic in the semi-finals. August 13, 2017 – MVW: Chet Sterling defeated Alex Daniels and John Skyler in a 3-way 1st round match. Chet Sterling defeated Aaron Biggs, CW Anderson and Zane Dawson in a 4-way match to win the tournament. August 18, 2017 – NOVA: Arik Royal and Chet Sterling defeated The Ugly Ducklings (Lance Lude and Rob Killjoy). August 26, 2017 – CWF Mid-Atlantic: Chet Sterling defeated Ethan Alexander Sharpe in the semi-finals. Chet Sterling defeated Logan Easton LaRoux to win the Johnny Weaver 2017 Cup. September 9, 2017 – CWF Mid-Atlantic: CW Anderson, Dave Dawson and Zane Dawson defeated The Sandwich Squad (Aaron Biggs & Mecha Mercenary) and Chet Sterling. September 16, 2017 – MVW: Aaron Biggs, Chet Sterling, Mecha Mercenary and Ric Converse defeated Arik Royal, CW Anderson, Dave Dawson and Zane Dawson in war games rules match. September 22, 2017 – NOVA: Alexander James and Bobby Shields defeated Chet Sterling and Daniel Richards. September 30, 2017 – CWF Mid-Atlantic: Chet Sterling defeated Nick Iggy. October 7, 2017 – NCWA: Chet Sterling and Dave Dawson defeated George South and Zane Dawson. October 14, 2017 – CWF Mid-Atlantic: Chet Sterling was in the CWF Mid-Atlantic heavyweight title 30 man rumble match which was successfully defended by Trevor Lee. October 27, 2017 – NOVA: The Ugly Ducklings (Lance Lude and Rob Killjoy) defeated Arik Royal and Chet Sterling. October 28, 2017 – CWF Mid-Atlantic: Arik Royal defeated Chet Sterling. November 12, 2017 – BCW: Arik Royal defeated Chet Sterling, John Skyler and Tracer X in a 4-way match to win the vacant BCW heavyweight title. November 18, 2017 – CWF Mid-Atlantic: Brad Attitude, CW Anderson and Zane Dawson defeated Chet Sterling, Ric Converse and Trevor Lee in a best 2 out of 3 falls match. November 24, 2017 – WrestleCade 3rd Annual Showcase Of Champions: Chet Sterling defeated Jason Kincaid, Andrew Everett and Rey Fenix in a 4-way match to win the MVW heavyweight title. December 2, 2017 – CWF Mid-Atlantic: Arik Royal and Roy Wilkins defeated Chet Sterling and Ric Converse. December 30, 2017 – CWF Mid-Atlantic: Brad Attitude defeated Chet Sterling. January 13, 2018 – CWF Mid-Atlantic: Chet Sterling defeated Ethan Alexander Sharpe. February 10, 2018 – CWF Mid-Atlantic: John Skyler defeated Chet Sterling. February 24, 2018 – CWF Mid-Atlantic: Brad Attitude defeated Chet Sterling. March 10, 2018 – CWF Mid-Atlantic: Chet Sterling defeated Otto Schwanz. March 17, 2018 – CWF Mid-Atlantic: Arik Royal, Mace Li and Rick Roland defeated Chet Sterling, Lucas Calhoun and The Proletariat Boar Of Moldova. March 24, 2018 – NOVA: George South and Zane Dawson defeated Chet Sterling (Replacement for Daniel Messina) and Dave Dawson to win the tag team titles. April 14, 2018 – CWF Mid-Atlantic: Chet Sterling and Trevor Lee defeated Los Chicanos (Jeff Castro and Jon Castro) in the 2nd round. Chet Sterling and Trevor Lee defeated The Carnies (Kerry Awful and Nick Iggy) in the semi-finals. Chet Sterling and Trevor Lee defeated The Closers (Rick Roland and Sloan Caprice) to win the tournament. April 28, 2018 – CWF Mid-Atlantic: Chet Sterling and Trevor Lee defeated Arik Royal and Mace Li. May 12, 2018 – CWF Mid-Atlantic: Cam Carter defeated Chet Sterling to retain the PWI Ultra J title. Dave Dawson and Zane Dawson defeated Los Chicanos (Jeff Castro and Jon Castro), Redemption (Michael McAllister and Nick Richards) & Chet Sterling and Trevor Lee in a 4-way tag team match to retain the tag team titles. May 19, 2018 – CWF Mid-Atlantic: Chet Sterling defeated Dylan Bostic. June 9, 2018 – CWF Mid-Atlantic: Chet Sterling defeated Brad Attitude in a anything goes match.